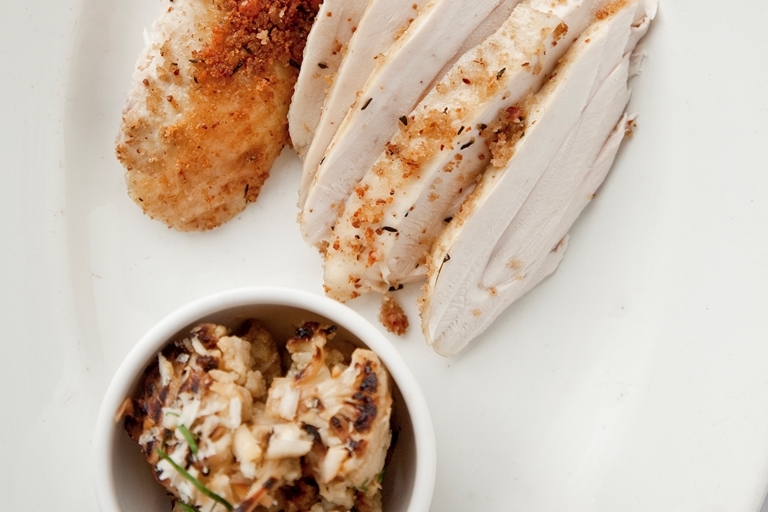 Bored of the standard roast chicken recipe? This distinctive Marcus Wareing whole chicken recipe double-cooks the chicken by poaching and then roasting the bird, resulting in remarkable flavour. The thyme and almond crust is another exciting twist for this chicken, which is paired with chargrilled cauliflower, but you could easily swap the cauliflower out with some of your favourite sides.